Montana Politics Archives - Page 2 of 14 - Combat! Now that Commander Ryan Zinke is busy applying his knowledge of tactical combat to our nation’s parks, Montana needs a new congressman. 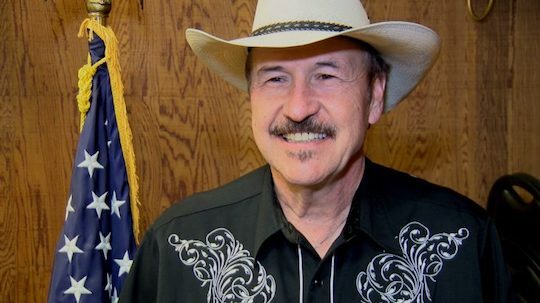 The parties met last month to select their nominees for the special election in May; Republicans chose Greg Gianforte—whom Montanans awarded second place in the race for governor last November—and Democrats chose Rob Quist. Quist has served on various arts boards and initiatives, but he is best known as a member of the Mission Mountain Wood Band. Like Gianforte, he has never held elected office or served in the military. Unlike Gianforte, he does not have a lot of money. But he is famous, and the leaders of the Montana Democratic Party hope his name recognition will put him over on May 25. It is interesting to note that these two political outsiders did not seize their nominations by harnessing popular disgust with the political class. The political class selected them. 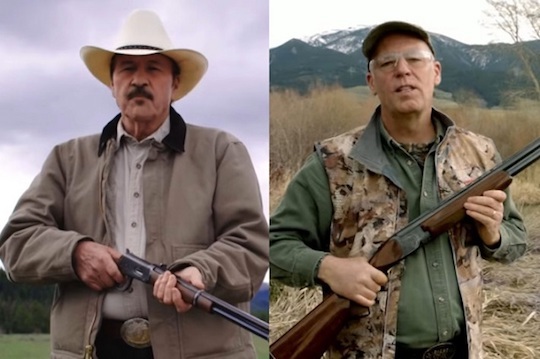 As products of internal votes among delegates rather than primaries, Quist and Gianforte reflect not what the public wants so much as what party leaders think we want. Given what happened in the general, it seems we want outsiders, ideally entertainers. But are those outsiders so likely to resist the party line, or are they more likely to toe it? This question is the subject of an essay feature in this week’s Missoula Independent, which I wrote. Lick it up, baby. Lick it up. I also wrote the column as usual. It’s about the special election, too, which is all anyone can talk about around here. As of this writing, a bill to allow voting by mail has passed the state senate but appears dead in the House Judiciary Committee. Democrats are talking about blasting it to the floor, but nothing has happened yet. Probably, Judiciary shouldn’t have SB 305 in the first place. The Adminstration Committee is supposed to get bills pertaining to ballots and elections, but House Speaker Austin “The Boss Man” Knudsen assigned it to the one where it was more likely to get killed. The state GOP doesn’t like voting by mail, for reasons party chairman Jeff Essman laid out in an unusually frank email. Democratic candidates consistently outperform Republicans in early voting and mail ballots, because what Essman calls “low-propensity voters” lean left. That’s true. But it’s hardly a reason to overrule a senate majority and county commissioners across the state, costing taxpayers hundreds of thousands of dollars in the process of making it harder to vote. Essman is in a tough spot, here, because his only argument is manifestly anti-democratic. You can read of my sympathies for him in the usual place. We’ll be back tomorrow with Friday links! In the last few weeks, the Montana legislature has heard a series of bills designed to strengthen the position of landlords. 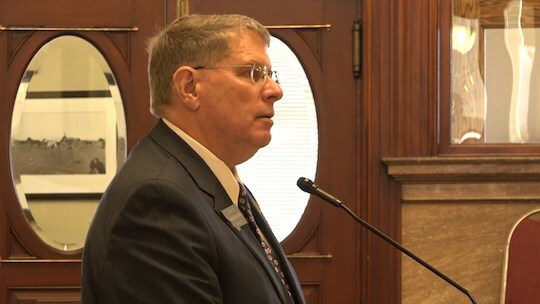 Roger Webb (R-Billings) introduced Senate Bill 239, which would charge with criminal theft tenants who vacate rental properties before their leases are up, as though they had stolen cash in the amount of the remaining months’ rent. Webb’s Senate Bill 255 would make state courts responsible for collecting judgments against tenants for unpaid rent—a duty which currently falls to the landlords themselves, as in other civil matters. Both of these bills introduce the possibility of going to prison for not paying rent. Webb’s wife, Rep. Peggy Webb (R-Billings), has introduced her own bill to charge with criminal trespass tenants who do not vacate rental properties at the landlord’s request. Its wording is vague, but it seems to withdraw the longstanding right of renters to remain in their homes until eviction proceedings are resolved. Taken together, these bills give landlords authority comparable to that of state courts. It may shock you to learn that the Webbs own rental property themselves. During an informal poll of the state house, approximately one quarter of their fellow representatives did, too. Nobody asked how many rent their homes, but one suspects the number is small. The kind of people who become state legislators are more likely to be landlords than tenants. And if you’ve ever talked to a landlord, you know they see tenants as a horde of conscienceless freeloaders bent on exploiting the landowning classes. All this is to say that the legislature has a warped perspective on the landlord/tenant relationship, and it makes sense that they would overestimate the degree to which it is unfair to people like, well, them. But is this the kind of injustice government should right? The conflict between landlord and tenant is, for the most part, a conflict between people who own multiple homes and people who own none. By definition, society is working pretty well for landlords already. Must we add the force of law to the force of economics? You can read such pinko reasoning in this week’s column for the Missoula Independent. We won’t be back tomorrow with Friday links, because I’ll be driving all day. Likewise Monday, but Combat! blog will return Tuesday, clothed in righteous fire. Or my truck will explode. Only time will tell. 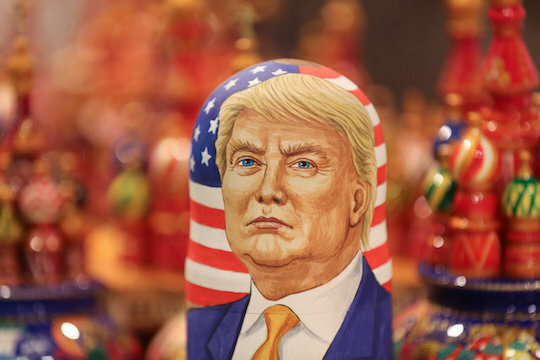 Like many people, I would like to believe that Russia made Donald Trump president of the United States. That would solve a lot of problems for me—for example, the problem of reconciling tomorrow’s inauguration with my faith in American democracy and the people who operate it. That took kind of a hit in November. As a person who would not like to see Trump and his ilk win again and again, believing Russians hacked the election would also relieve me of my concern that Democrats could not beat the worst presidential candidate in American history. But that phrase—“Russia hacked the election”—is simplistic and dumb. There is no evidence that Russia or its agents did anything to interfere with ballots or their counting. No election-related computer systems were compromised. Russians “hacked the election” by releasing to the public emails from the Democratic National Committee and John Podesta. Surely, Russia favored Trump, because it could have done the same thing to him but didn’t. But the fact remains that Russia “hacked the election” only in the sense that it gave voters accurate information about Clinton they didn’t already know. The actual election—the part where Trump becomes president by winning the electoral college—happened at the will of the American people in accordance with our constitution. It’s completely terrifying and sad that it happened that way—more terrifying and sad, probably, than if the Russians changed the vote count. But we should confront this state of affairs in our politics, so we can cure it. Blaming the Russians and declaring Trump illegitimate only denies that we are sick. It is for this reason I must humbly disagree with Rep. John Lewis (D-Ga.), who told Meet the Press he will not attend the inauguration because he does not consider Trump a legitimate president. Lewis is a damn hero, and he can do whatever he wants. But I think it’s a mistake to pretend that Trump did not ascend to the presidency within our existing system, according to the will of the American people constitutionally expressed. Russia didn’t do this. We did. I think we should reckon with that, and the narrative that Russian interference renders the result of this election illegitimate lets us off the hook. You can read all about it in this week’s column in the Missoula Independent. We’ll be back tomorrow with Friday links!